What a summer. We're loving our new home in Douglas and appreciate everyone who made this first season exceed our expectations - and it isn't over yet. While we live for sunshine and a packed lawn full of smiling faces and delicious wine, we can hardly wait to start our fall events and wanted to share what we have scheduled so far. Friday, August 31, 6-9pm: Sing-Along with Dave & Connie D on the Lawn. Join us for a special sing-along session with our favorite Friday musicians. We'll have lyrics available to those who need them and Dave & Connie will gladly take requests when able. Tuesday, September 4 - Wednesday, September 5: We will be CLOSED to give our staff a much deserved break after a busy and successful summer. 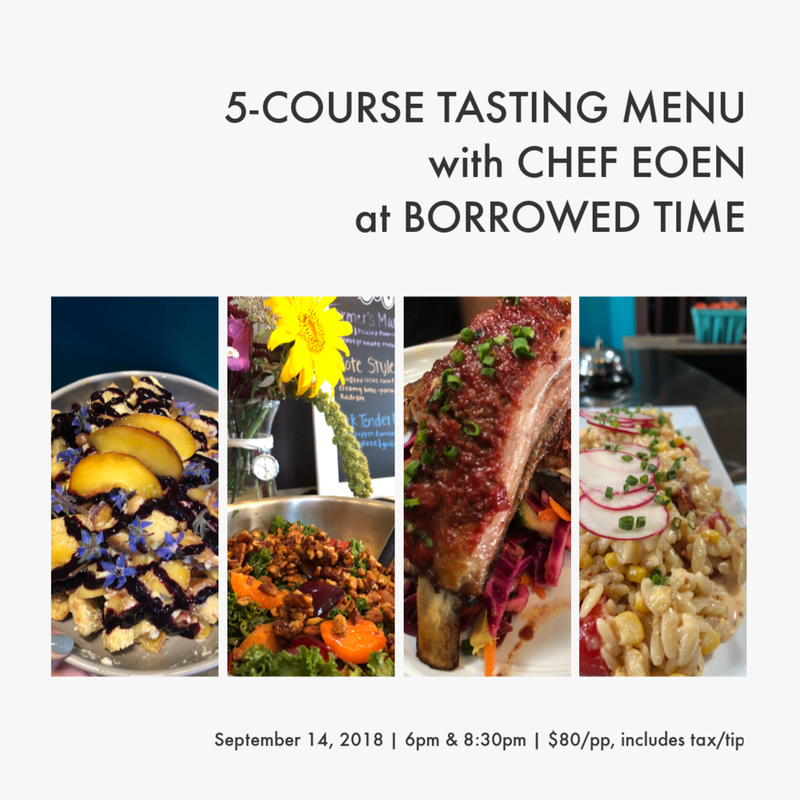 Friday, September 14, 6pm & 8:30pm: We're breaking in Chef Eoen with his first 5-course tasting dinner in the new location. Pricing is the same as last year at $65/pp, though due to your feedback, we're including tax and gratuity in the ticket price totaling $80. No more deposits and no more waiting to pay the tab after dinner the night of! We'll issue a full refund up to 7 days prior to the event if necessary, any cancellations within 7 days will be handled on a case-by-case basis. Saturday, October 6, 6pm: EatDrinkSDF Harvest Dinner at J. Petter Galleries. More details to come, though this will be a multi-course meal highlighting local farmers and their fall harvest, all prepared by the area's most talented culinary artists. We'll keep you updated as we add more events, looking forward to a wonderful fall with you all!